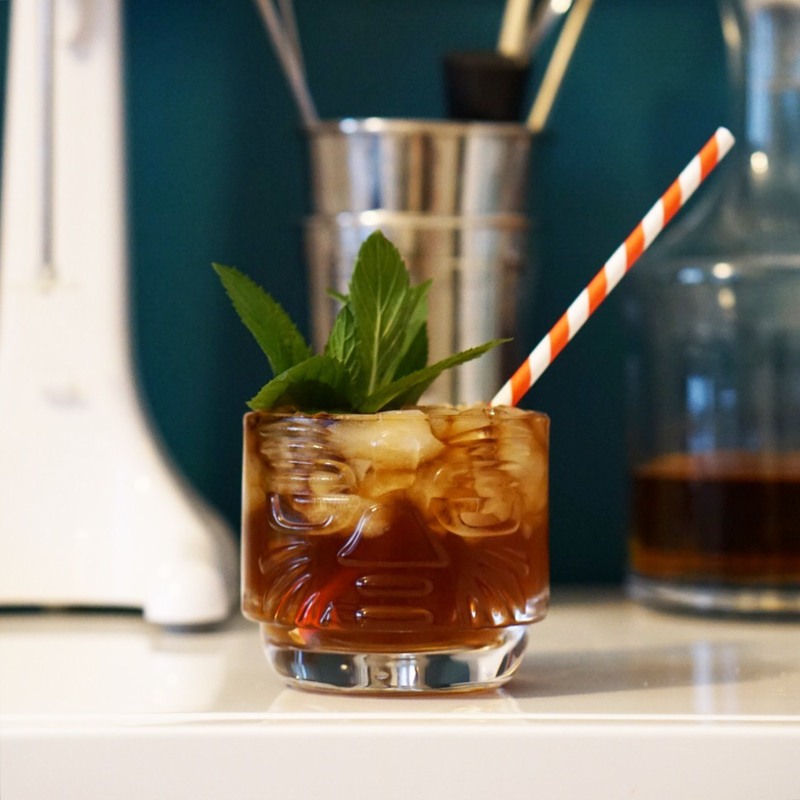 Earlier in the month Martin and Rebecca Cate published Smuggler's Cove: Exotic Cocktails, Rum, and the Cult of Tiki. I had a copy ordered months ahead and am delighted to see that my favorite Cate Classic, The Naked Ape, was included with a great back story. Get a copy and dive in to the world of rum and tiki. 1/2 ounce Giffard Banane du Bresil. 1/2 ounce cinnamon syrup - make your own. 2:1 sugar to water and 6" of good cinnamon per cup of water. Garnish - Chocolate Mint with a slap is key. Add additional joy to taste.